Recently, I helped Mom (a.k.a. “Marmo”) lead one of her customized tours around Italy. Mom’s philosophy is a good one: try to keep the trips to two general areas within an 8-10 day time frame. If you try to squeeze in too many spots, you’re only going to skim the surface of each area, and you’ll be shifting around too much to relax every once in a while. The plan for this particular trip was to target (1) the Amalfi Coast and (2) Rome. Marmo and I fly into Rome then take the train to Naples. From Naples, we meet our driver, who takes us into Sorrento – a beautiful town at the beginning of the Amalfi Coast. 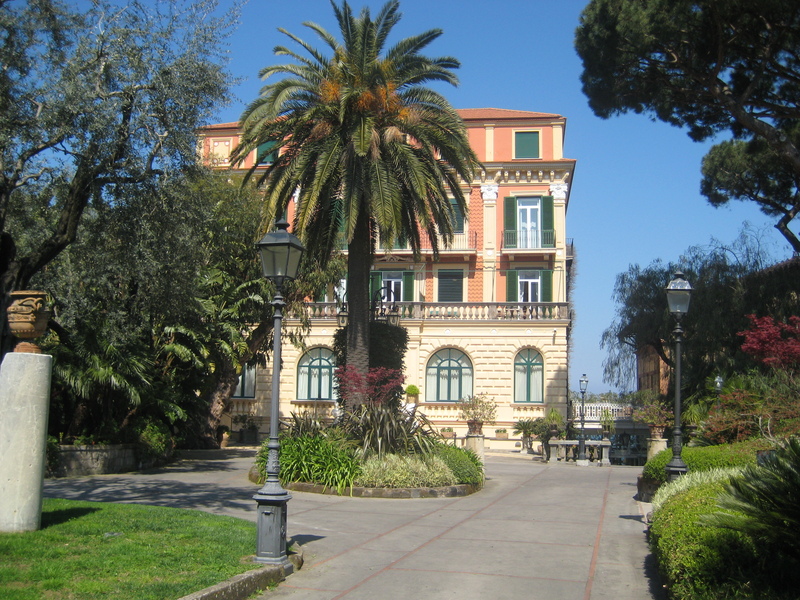 Our digs for our stay in Sorrento: The one and only Excelsior Vittoria Hotel – a gated compound of baller type bodaciousness, complete with palm and lemon trees, beautiful gardens, and the most ridiculous view overlooking the Gulf of Naples towards Mt. Vesuvius. Spanning six generations (it’s still under the same family ownership), The Excelsior has grown from a beautiful cliff side estate, into a 5-star hotel of dreams. 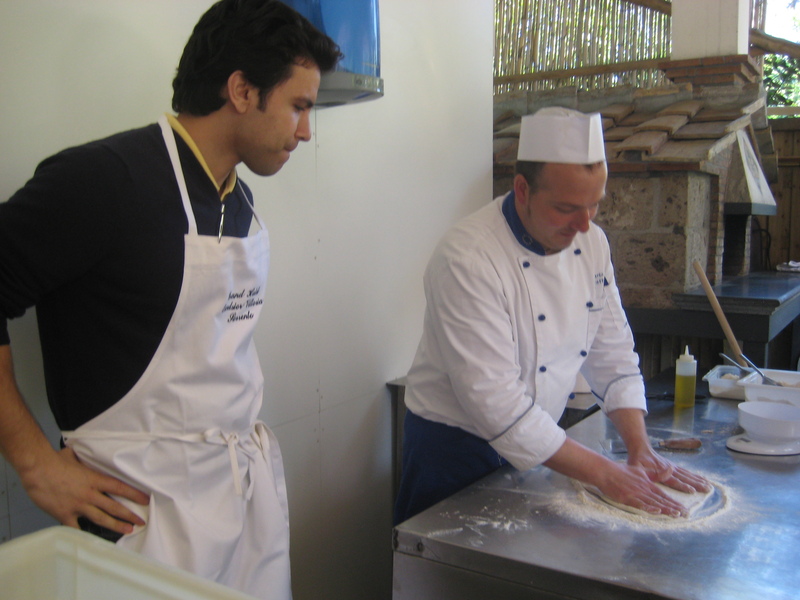 And for the group’s first day in the Amalfi coast, Marmo arranges a hands on Neapolitan Pizza making demonstration. For this, I am beyond excited. 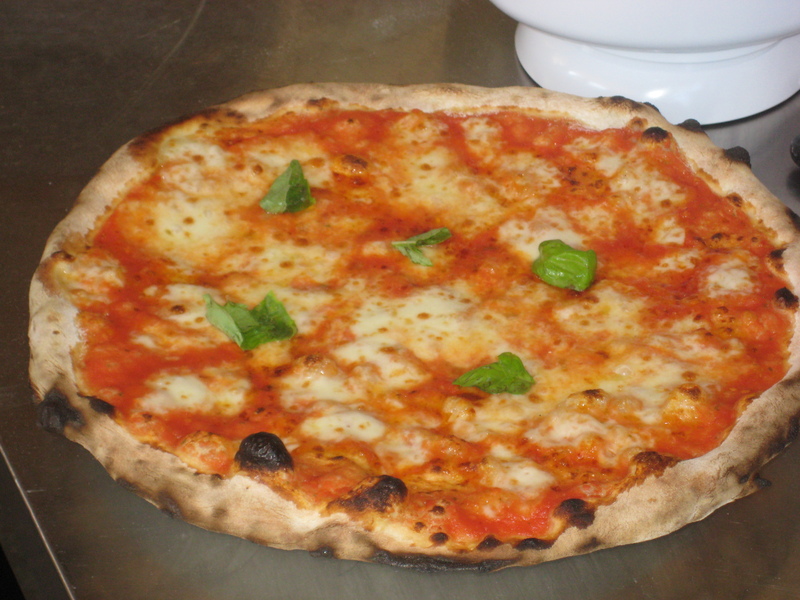 Readers of the blog are well aware of our undying infatuation with Pizza. 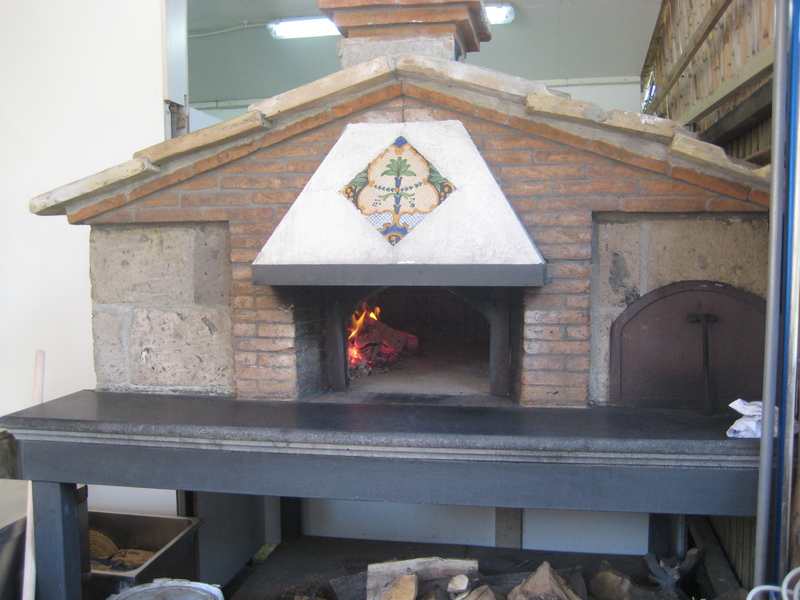 We are led to a bar around the pool, where there is, indeed, an outdoor brick oven in which wood logs have been burning for about 2 hours in preparation for our class. Our class is being prepped by the head chef of the hotel, Vincenzo Galano, and a second chef whose name I didn’t get. They first instruct us as to their method, which is very simple: a 3 hour rise, a little sugar with the yeast, some double zero flour and water. No overnight rises or complicated gimmicks; it’s very straightforward. I need to get a closer look to observe the finished product. And, indeed the dough is softer and fluffier than my freshly shampooed hair. I had always thought that an overnight rise was essential for that ultra soft feel for pre-cooked pizza dough, but this proved otherwise. 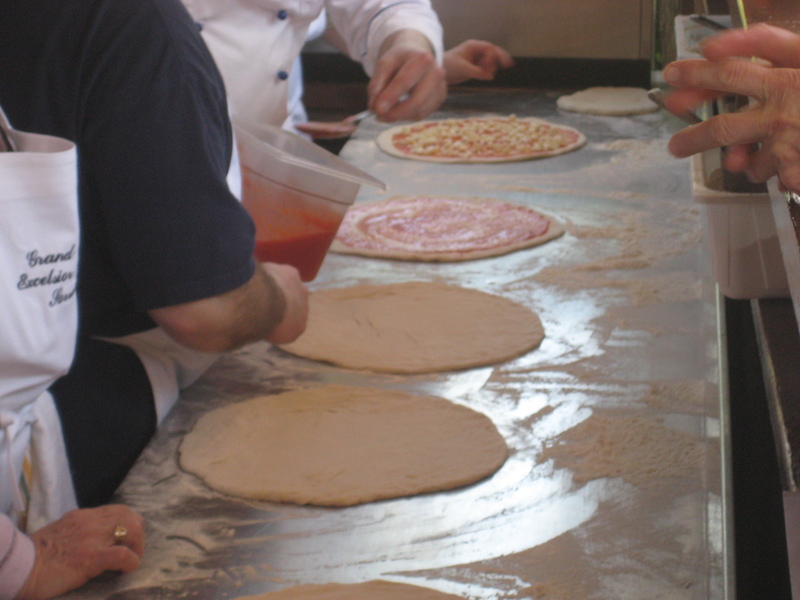 The two man Pizza dream team then instructs us on hand pressing the dough, and lets each of us take a crack at it ourselves. 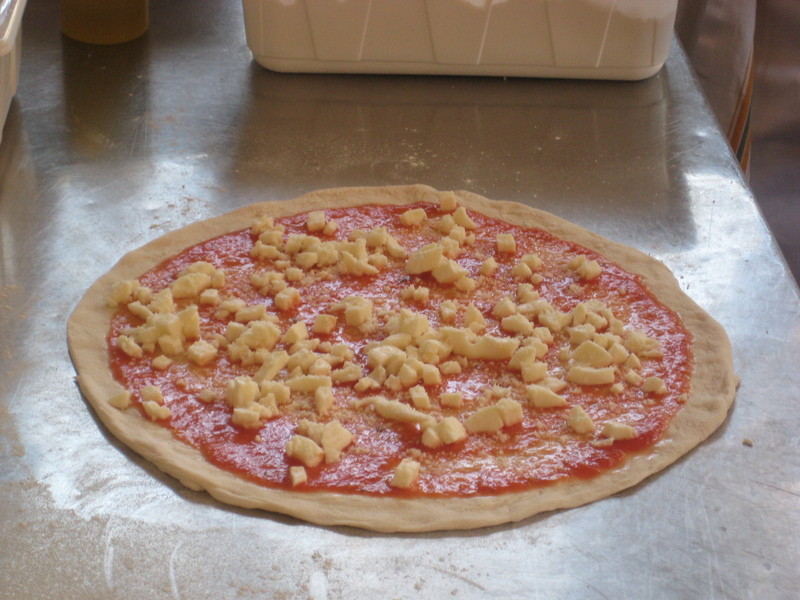 After the dough is flattened, the sauce is applied, followed by the mozzarella, some grated parmesian, and some olive oil. It is then transported into the oven, and spun around with some of those extra long pizza peels that I want to decorate my apartment with. Basil leaves are chopped up and spread onto the pie after it is pulled from the oven, nice and piping hot. And the final result is wonderful. 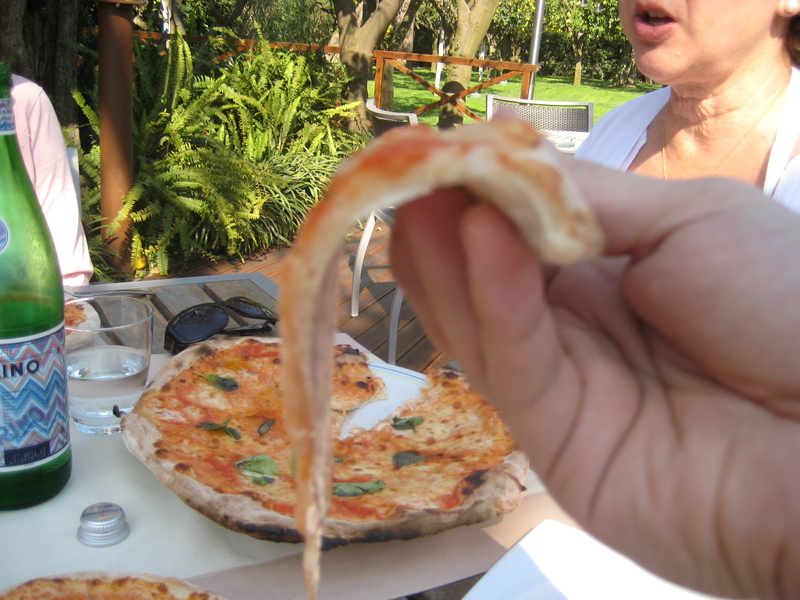 The melted mozzarella has a milky, slightly sour, yet fresh tang to it. The basil supplies a faint, but noticeably minty backdrop. The cooked dough is beautiful. Charred on the outside, but chewy and floppy when chomped down upon. The center of the pie is the way a Neapolitan pie should be: saucy, sloppy, and a tad oily. Skewering sections of this pie accordion style with my fork is a thing of ease. Delicious. The sauce is wonderfully fresh, while the grated parmesan cheese adds a nice, subtle kick not typically included in our New York furnished Neapolitan pies. Halfway into my pizza, I’m thinking about sneaking Vincenzo and his pizza making sidekick through customs back in Newark so we can dominate the NYC/Neapolitan Pizza scene. This pie would be easily on par (if not better) with some of well thought of joints in Manhattan. 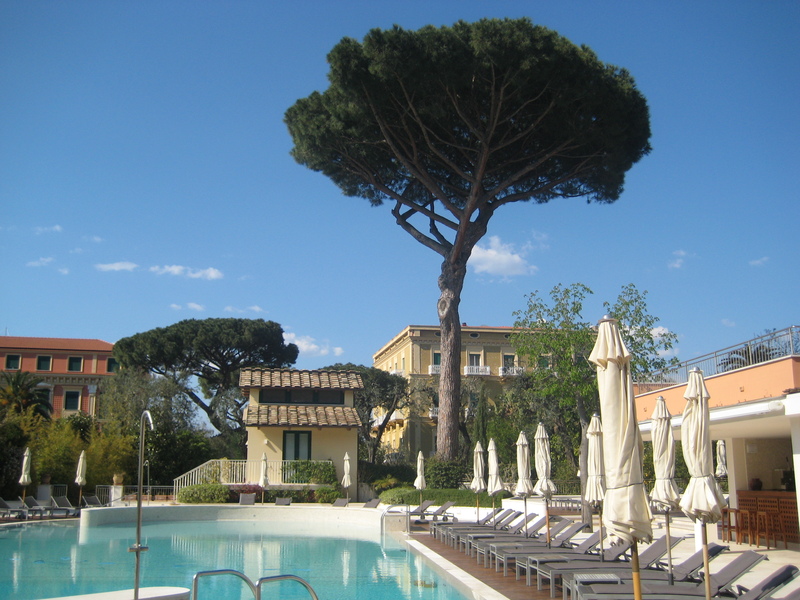 And with what would be a theme for our stay at the Excelsior, Vicenzo and the rest of the staff could not be nicer. Everyone got their own apron and chef’s hat, as well as the perfect amount of instruction (neither too much nor too little). 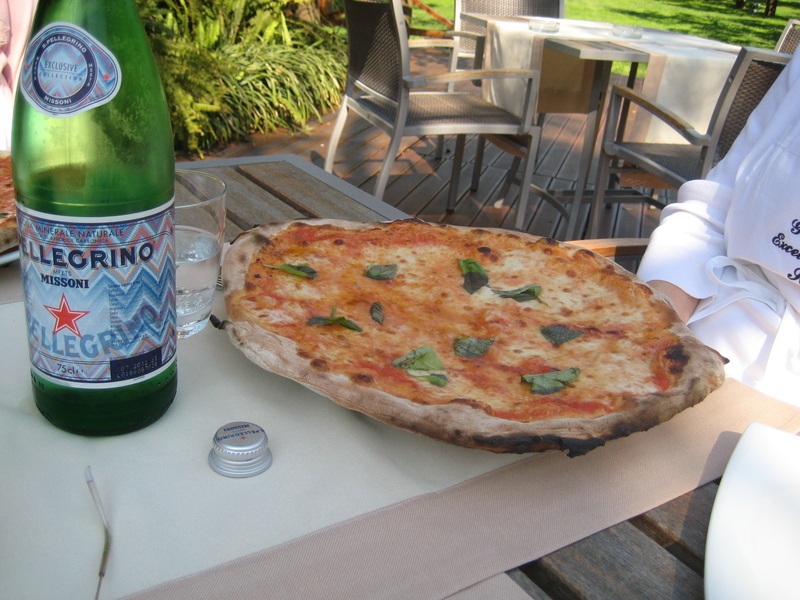 And after an hour or so of being around that oven, what better way to celebrate than to kick back, enjoy a freshly made pizza, some sparkling Pellegrino, a glass of wine, and a view of the Excelsior’s garden of lemon trees? There is no better way. Stay tuned in the upcoming weeks for more tales of my trip to the motherland, or feel free to contact Marmo to create some tales of your own. I can still taste that delicious pizza. It was so delicious and the dough was so tender. What great tips we learned! When is that flight leaving for Italy? Keep taking classes, buddy. You might someday be able to compete….